Decks often have a lot of time, love, energy, money, and thought put into them. They are an ideal part of the perfect home. However, even the most beautiful deck can be brought down if it is not strategically lit to be as inviting as possible. These deck lighting options will help you elevate and celebrate your deck with lighting that is neither too bright or too soft and perfectly compliments your after dark experience. Deck lights can accentuate all the best features of your deck. These popular deck lights function by lighting the house. 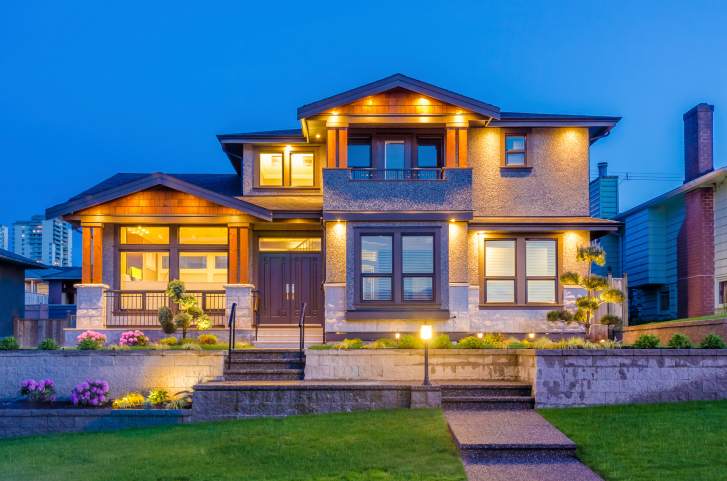 In order to maintain design continuity and keep your home looking cohesive and stylish, consider using the same lights you used in your house. If the stairs to your deck are away from the house, stair riser lights are a safety necessity. They cast just the right amount of light so you can safely get up and down the stairs, even while carrying large objects or in the near dark. These are one of the most common deck lighting options. These are easy to install and create a warm and welcoming ambience. LED lights that slip under a post cap have one drawback, however. They are often at eye level if you sit in chairs, which can potentially distract from your view of the sunset. If post cap lights would be at the wrong height, you might consider these deck lights instead. These surface-mounted post lights cast a soft glow downward. These deck lights mount flush with the surface of your deck. These are ideal for large flat decks on which you regularly entertain. This entry was posted on Wednesday, February 3rd, 2016	at 12:28 am	. Both comments and pings are currently closed.